You must be a member of the Izmir After Work Group to attend this activity. Would you like to join this group? We are back again. Let's warm up!! 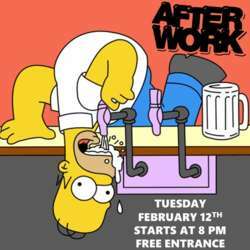 Tuesday night meet us in Alsancak on 12th February. FREE entrance for all Expats and Locals. Come and join us to enjoy your Tuesday night with other InterNations members. Also feel free to invite your friends, they are welcome. Please just remind them that they should register on InterNations beforehand.